October 4, 2012 Nefer Khepri, Ph. D.
Deck Review: The Secret Language of Birds. The symbolic importance of birds dates back to early humans and reached a pinnacle during the Greek and Roman civilizations when bird flights, entrails, calls and appearances all held special divinatory importance. Birds are seen by cultures around the world and through Time as messengers, carriers of secrets and knowledge. 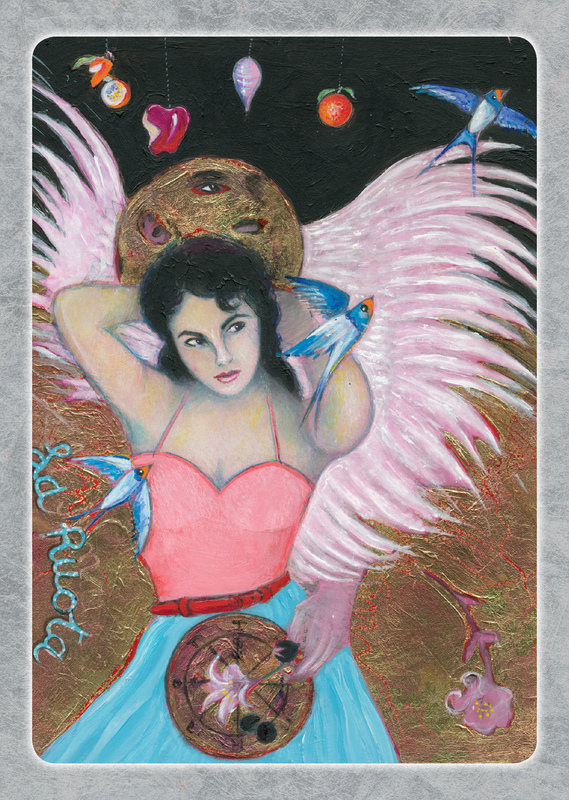 In this day and age we now have this tarot deck, The Secret Language of Birds, that carries the age-old practice of ornithomancy forward into the future. Every major arcana card is also accompanied by a quote from an illustrious individual. The quote for The World card is by Carl Jung, “We should not pretend to judge the World only by the intellect” (guidebook, p. 98). Each major arcana card’s section in the guidebook begins with a set of keywords followed by a description of the card’s imagery. The type of bird and its cultural significance to that particular major arcana card is also discussed and this includes the card’s upright interpretation. 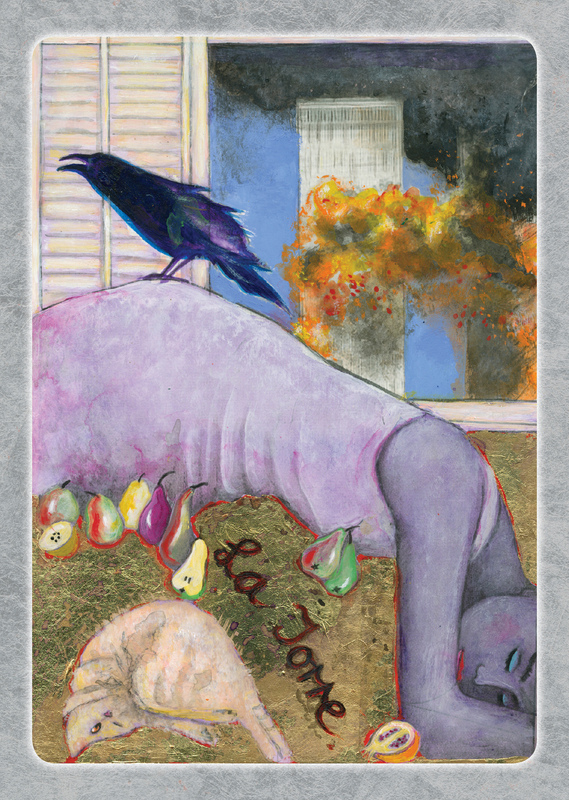 Each major arcana card’s section concludes with a summary of the reversed meaning of the card. 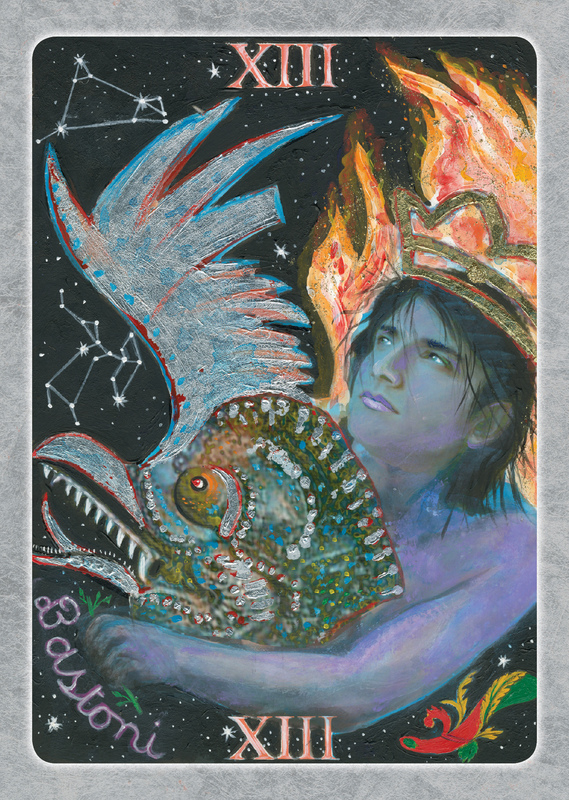 Each of the minor arcana suits are represented by a specific breed of bird that appears on every pip card while the court cards have different birds. Cups (“Coppe” on the cards) are symbolized by the kingfisher due to this bird’s connection with the Element of Water. The suit of Wands (“Bastoni” on the cards) is represented by the skylark due to how this bird leaps from the ground and up into the air like a burst of flame. Wands represents the Element of Fire. The seagull was chosen as the bird for the suit of Swords (“Spade” on the cards) and are presented as an analytical, decisive and adaptable bird, all traits of people of the Swords court. The wren was chosen as the representative of the suit of Coins (“Denari” on the cards) due to it having been used on the now defunct British coin, the farthing. The minor arcana is beautiful as well, but only the pips are provided. The cards are not scenic, so again, this may prove to be a difficult deck for a beginner. For example, the 6 of Swords is a picture of six sea gulls and the 3 of Cups is a picture of three kingfishers, and so on. Usually, I ask a new deck how we will get along. However, I’ve had this deck for a while now so I will depart from my usual practice and ask a personal question. I received The Tower, Wheel of Fortune, and God of Wands. I was amazed to see a cat depicted on the Tower card. I asked if this cat was meant to be Dickens and drew one more card. I received the Queen of Swords, which has another cat on it. I drew one more card for good measure and received the Queen of Wands which has an entire family of cats depicted on the card. Besides the lion on the Strength card and the tiger on the Justice card, The Tower, Queen of Swords and Queen of Wands are the only cards in the deck depicting cats. One cat seems to be the same cat in a number of the cards and just happens to even look like Dickens. this deck. Dickens loved tarot readings. Every time I would do a reading for myself on the bed Dickens would join me. He loved the Celtic Dragon Tarot by Lisa Hunt in particular and no matter where he was in the house, every time I used that deck Dickens somehow knew and he would come running. His favorite card was the 2 of Wands and every time that showed up in a reading he would place his paw on it and not want to give it up. When he died I buried my only copy of the Celtic Dragon Tarot with him. The Tower represents chaos and destruction and can represent the sudden onset of disaster. The World Trade Center can be seen in the background under attack by terrorist. For me, The Tower represented Dickens’ sudden down turn in health due to old age. The Wheel of Fortune represents Fate, Karma, and Destiny. It can also represent a sudden turn of events. The Wheel of Fortune told me that it was definitely time for Dickens to make his transition. The vet diagnosed him with kidney failure and his liver was also beginning to fail. I was given the choice to keep him alive with medications and water injections for his kidneys or to euthanize him. The vet was amazing. She stayed with me and held me as I cried for nearly 20 minutes before coming to the agonizing decision to allow Dickens to die with dignity. This was the most difficult decision of my life. The Wheel had finally made its last turn for my dear little friend. always hugging me and cuddling with me. He was also very intelligent and learned all of the dog’s commands at the age of nine simply by watching me train her. He learned them immediately and proved he was a LOT smarter than the dog. Dickens was also very loyal. In fact, I was the only human he loved. He merely tolerated the others and sometimes not very well. His personality and attitude definitely fit the God of Wands. Taken all together, The Tower, Wheel of Fortune, and God of Wands told me, yes, it was a disaster and one of the saddest experiences of my life (Tower), but the time had come after a very long and healthy life for Dickens to move on (Wheel of Fortune), and that he is fine and back to his young energetic self and is still loyal to me (God of Wands) and I seriously doubt he will ever leave me. I know when it’s my time to join my parents and ancestors in the realm of Spirit that Dickens will be my guide as he scampers across Rainbow Bridge to greet me. This deck not only addressed my question with three cards, but it also kept telling me with the additional cards I drew for validation, yes, this reading IS about a cat, despite this being a deck of birds. Every card depicting a cat came up. I was very much impressed and also very relieved to know my little friend is fine. The cards are large and measure 4” x 5 ¾”. They have a sturdy laminate and despite the Houston humidity, mine have not been sticking together. The first few times the deck was difficult to shuffle because they needed a little breaking in. It’s easier now, but those of you with smaller hands may want to side-shuffle these cards due to their size. As an artist to whom tarot imagery is very important, I always appreciate larger decks despite any shuffling difficulty. The guide book has 208 pages and measures 7 1/8” x 5 5/8” x ½”. It begins with a forward by Philip Carr-Gomm, Chief of the Order of Bards, Ovates, and Druids. He is the creator of the Druidcraft Tarot (St. Martin’s Press, 2005). There is a brief introduction of how this deck came to be and an extremely brief history of the tarot before the guidebook gets into the symbology and interpretations of the cards themselves. The box is very nice, strong sturdy card board with a nice layer of laminate with a hinged magnetic lid. The box measures 11 ¾” x 6” x 1 ¾”. The guide book and cards lay side by side, each housed in their own recessed well. 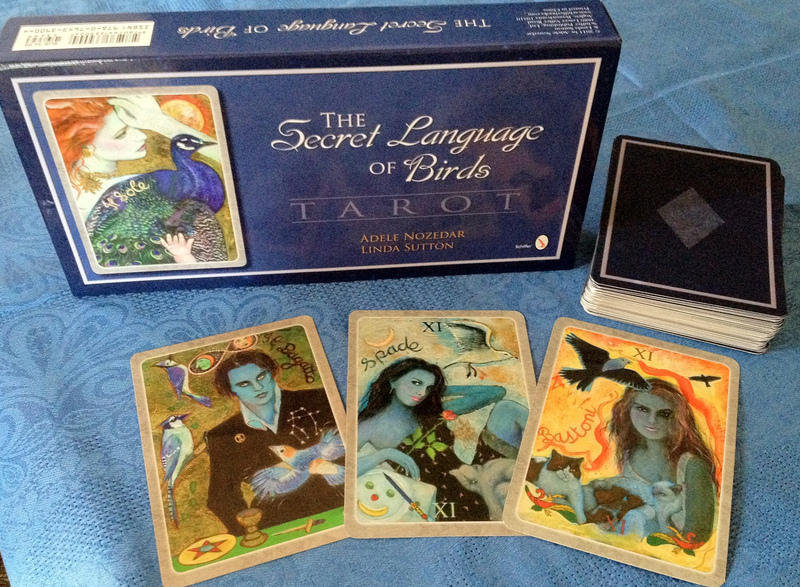 The Secret Language of Birds is a deck I do not recommend for beginners due to reasons previously mentioned; however, it is a beautiful addition to any tarot deck collection, especially if you love birds. wow!! very clearly explained and easy to understand for a lay person like me….very interesting too..